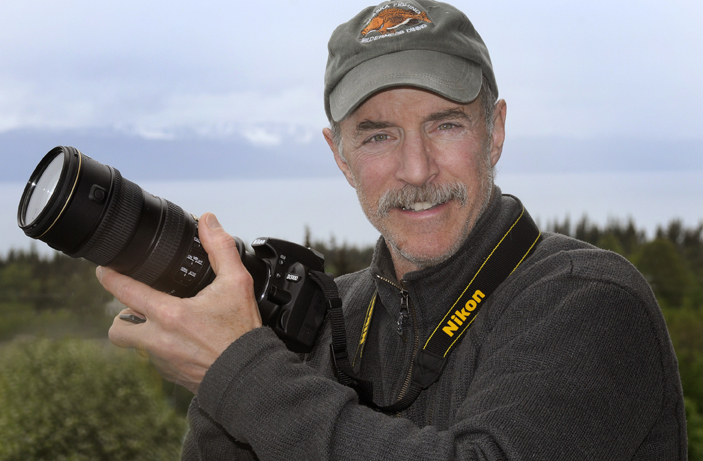 Jim Lavrakas was an Anchorage Daily News staff photographer for thirty years. His memoir, Snap Decisions, is the photographic journey that took him from a raw but talented street shooter to an award-winning news photographer who shared in a Pulitzer Prize. He started out as an ambulance chaser, looking for crashes, fires, and grief, but ended up a storyteller. In the heyday of Alaska newspapers he photographed the mighty and the meek in Alaska’s largest city, and across Alaska’s breadth. Over his three decades at the newspaper, his assignments encompassed an astonishing diversity of news, northern people, remote places, and wilderness lifestyles. From the waning years of the Pipeline boom to the rise of Sarah Palin, from the darkroom to the digital age, Lavrakas brought unforgettable images back to the newsroom, and to his readers. Copies of “Snap Decisions” can be ordered from me on the Store page of this website. I'll be happy to autograph & personalize your books.